In the Gallery: during the months of July and August is "The Bay State: A Multicultural Landscape" a collection of black and white portrait photographs by Mark Chester. Now thru July 30: Register for summer reading. Open to ages 3-12. Now thru August 6: Summer reading participants pick up your bike raffle form to win a NEW BIKE donated by Estabrook and Chamberlain of Bridgewater. August 15 thru September 5: Any adult item in the book sale room is 50¢. Books, CDs and DVDs! Take them to the beach and don’t worry about sand or water damage! Monday, August 1: Registration opens for Candy Bar Bingo. For school aged children (K+). Winners take home CANDY! Monday, August 1 @ 1:30-2:30 p.m.: Lego Mania: Ages 6+ are welcome to join us for this drop in program. We provide the Legos, you bring the imagination. Tuesday, August 2 @ 1:00 p.m.: Movie and popcorn (75 minutes, Rated G). All ages, no registration, parent must stay with child. Alice in Wonderland. Wednesday, August 3 @ 7:00-7:30 p.m.: Pajama Story Time with Miss Juliette. All ages welcome, no registration. Sponsored by Triumph, Inc.
Thursday, August 4 @ 10:30-11:00 a.m.: Book Babies. Lapsit for ages infant to 24 months with caregiver. Join Mrs. Davis for rhymes, songs, story and playtime. No registration. Friday, August 5 @ 11:00 a.m.: Come to the library and design/color/decorate a kite then bring it home to fly. Registration is required for this program and is open to school age children. Saturday, August 6: Last day for summer reading participants pick up your bike raffle form to win a NEW BIKE donated by Estabrook and Chamberlain of Bridgewater. Winner will be drawn on Monday, August 8 at the Summer Reading Finale program. Monday, August 8 @ 7:00 p.m.: Summer Reading Finale! Winners of the bike raffle announced! Yo-yos, music and dance with The Ooch Experience. All ages welcome, no registration. Tuesday, August 9 @ 6:00 p.m.: Movie! Finest hours. Wednesday, August 10 @ 7:00-7:30 p.m.: Pajama Story Time with Miss Juliette. All ages welcome, no registration. Sponsored by Triumph, Inc.
Thursday, August 11 @ 1:00 p.m.: 3D movie (111 minutes, Rated G). All ages, no registration, parent must stay with child. Wizard of Oz. Monday, August 15 @ 1:00-3:00 p.m.: Friendship bracelets. Drop in to weave and bead some bracelets for you and a friend. Ages 5+ with adult. No registration. Tuesday, August 16 @ 1:00 p.m.: Candy Bar Bingo. For school aged children (K+). Winners take home CANDY! Registration required. Wednesday, August 17 @ 1:00 p.m.: Movie and popcorn (72 minutes). All ages, no registration, parent must stay with child. LEGO DC Super Heroes: Justice League: Attack of the Legion of Doom! Monday, August 22 @ 10:30 a.m. -12:30 p.m.: Edible necklaces. Create edible necklaces out of Froot Loops. Drop in program, while supplies last. Ages 3+ with adult. Monday, August 22 @ 6:00 p.m.: Movie! Big Fat Greek Wedding 2. Tuesday, August 23 @ 6:30 p.m.: The newly popular adult activity: coloring! An appealing and unique combination of patterns and organic imagery offers hours of imaginative coloring. There are no rules to this new, fun and therapeutic pastime. All supplies will be provided. No registration required. Wednesday, August 24 @ 6:00-7:30 p.m.: A New York Life Agent will work with you to create a child identification CD that includes a digital photo and fingerprints of your child, along with your contact information. To participate, each child must be accompanied by a parent/guardian. No registration required. FREE. Thursday, August 25 @ 1:00 p.m.: Movie and popcorn (95 minutes, rated G). All ages, no registration, parent must stay with child. Inside Out. Tuesday, August 30 @ 6:00 p.m.: Adult Scrabble and Chess. We are offering our first drop-in sessions of Scrabble and Chess for Adults. All games, score sheets and dictionaries are provided. No registration required and all ability levels are welcome. Reduce your risk of developing Alzheimer’s disease and dementia by playing Scrabble. There are a lot of benefits to playing besides being fun it is rewarding mentally, socially and emotionally. Come join the fun! Wednesday, August 31 @ 1:00 p.m.: 3D movie (81 minutes, Rated PG). All ages, no registration, parent must stay with child. Toy Story. Akee Parwaz, president of the Rotary Club of the Bridgewaters, announced today that nominations are now open for the club’s Citizen of the Year program. Since 2000 the local Rotary club has been honoring local leaders for their contributions to improving the quality of life in the Bridgewaters. Previous recipients are listed below. These are women and men who live in and/or work in Bridgewater, East Bridgewater or West Bridgewater. For the seventh consecutive year the Bridgewater Savings Bank will be serving as Grand Sponsor. Nomination forms are available by contacting event chair Diana Jennings at 508.531.1382. Completed forms and supporting documentation should be mailed to Rotary, P.O. Box 266, East Bridgewater, MA 02333 by August 15th. “Scrabble for Adults!” at the Bridgewater Public Library on July 26th @ 6:00 p.m.
Monday, July 18 @ 1:30-2:30 p.m.: Lego Mania: Ages 6+ are welcome to join us for this drop in program. We provide the Legos, you bring the imagination. Tuesday, July 19: Register for Kite Decorating. Program will be held on August 5 @ 11:00 a.m. Ages 5+. Tuesday, July 19 @ 1:00 p.m.: Movie! (111 minutes, Rated PG). All ages, no registration, parent must stay with child. See website for title. Wednesday, July 20 @ 1:30-3:30 p.m.: Animal Affair. Drop in anytime to meet live animals. They will be bringing us chickens, pigs, goats, bunnies and more! Children will have a chance to meet the animals and the program will be held rain or shine in our meeting room. This program is not a registration program and open to all ages. Parents should be aware that Animal Affair will be in charge of how many children are allowed in the pens at one time for everyone’s safety. Wednesday, July 20 @ 7:00-7:30 p.m.: Pajama Story Time with Miss Juliette. All ages welcome, no registration. Sponsored by Triumph, Inc.
Thursday, July 21 @ 10:30-11:00 a.m.: Book Babies. Lapsit for ages infant to 24 months with caregiver. Join Mrs. Davis for rhymes, songs, story and playtime. No registration. Friday, July 22 @ 10:30 a.m. -12:30 p.m.: Edible necklaces. Create edible necklaces out of Froot Loops. Drop in program, while supplies last. Ages 3+ with adult. Monday, July 25 @ 1:00 p.m.: Movie! (90 minutes, Rated PG). All ages, no registration, parent must stay with child. See website for title. Tuesday, July 26 @ 1:00 p.m.: Join us for Book Bingo. For school aged children (K+). Registration required for this program. Wednesday, July 27 @ 7:00-7:30 p.m.: Pajama Story Time with Miss Juliette. All ages welcome, no registration. Sponsored by Triumph, Inc.
Thursday, July 28 @ 10:30-11:00 a.m.: Drop in story time for all ages with adult. Join Mrs. Davis for stories, songs and rhymes based on a weekly theme. Friday, July 29 @ 10:30 a.m.: Pennant decorating. Come color a sports pennant. Ages 5+ with adult. Drop in while supplies last. Saturday, July 30: Last day to register for summer reading. Around the Common would like to welcome JBH Ventures as our newest Bridgewater area business listing. We encourage you to always support local business first! Located in nearby Raynham, JBH Ventures is a local financial consulting firm that partners with small businesses to provide finance, accounting, tax, and general business solutions. The mission of JBH Ventures is client empowerment. They service small and medium-sized businesses, as well as individuals, through a unique integrated partnership that allows our clients to focus on their value proposition. The vision of JBH Ventures is to be a long-term trusted advisor that enables clients to think differently about their operations for the purpose of creating competitive advantage. Offering services ranging from bookkeeping to tax planning and preparation to payroll and audit planning, JBH Ventures prides themselves on providing customized and detailed attention to each and every client. For more information about JBH Ventures, please check out their website by clicking here. You can also "Like" them on Facebook by clicking here. Be sure to tell them Around the Common sent you! 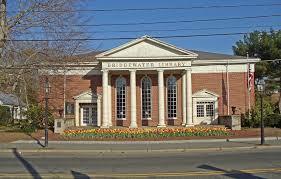 Bridgewater State University's Maxwell library will feature Suburban Reflections, graduate fine art works by Ms. Jessica Lazarus Visual Arts Teacher Bridgewater-Raynham Regional High School. Works shed light on Bridgewater's local environment. Materials emphasize the boundaries and aesthetics between nature and industry. Come visit the show to see a new perspective on your own backyard. See http://www.bsuarts.com/Lazarus.htm for more information. Suburban Reflections is currently on view at Bridgewater's Maxwell Library, third floor, Special Collections and across the atrium. Works will be available for viewing M-F 8-4 pm. 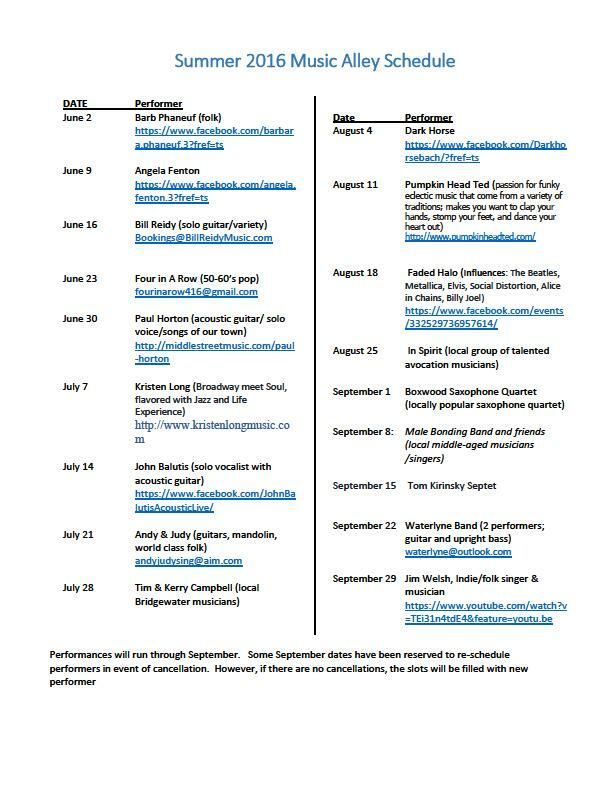 August 11-20th, 2016. 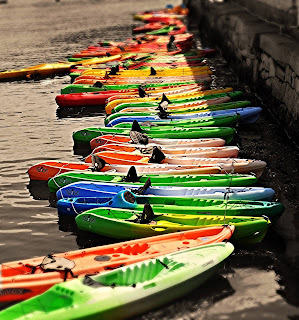 The Bridgewater Public Library will feature an exhibit of Photographic Artwork by Mark Chester titled “The Bay State: A Multicultural Landscape” in the Flora T. Little Gallery. The exhibition will be on display during the months of July and August. We are proud to host a collection of photographs by Mark Chester that document the multicultural landscape of our Bay State and new Americans. These gorgeous black-and-white portraits were chosen from more than 300 photographs of foreign-born naturalized U.S. citizens hailing from over 180 countries, this collection of informal portraits was created to support theMassachusetts Immigrant Refugee Advocacy Coalition (MIRA). Mark Chester was Director of Photography and staff photographer at ASCAP (American Society of Composers, Authors and Publishers), in New York City. His photographs are in the permanent collections of Baltimore, Brooklyn, Corcoran, Denver, Portland (Maine), and San Francisco museums, among others. An Artist Meet and Greet will be held on Tuesday, August 9th from 6:00 pm to 8:00 pm. The Flora T. Little Gallery is open during regular library hours: Monday, Tuesday andWednesday 9a.m.-8p.m. ; Thursday 10a.m.-5p.m., Friday, Saturday 10a.m.-2p.m. Presented by Marian Pierre-Louis of Fieldstone Historic Research on July 19th @ 6:30 pm at the Bridgewater Public Library. Have you ever watched Who Do You Think Are?, Finding Your Roots or one of the many new tv shows exploring family history? Isn't it time you joined in the fun as well? Researching your family can be an enriching and rewarding experience. The first step is learning how to do it. In this program we will start right at the very beginning and give you the resources you need to begin your family history research. 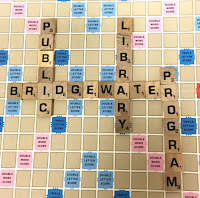 Many tools can be accessed for free right from Bridgewater Public Library. Come learn what family history research is all about and leave with a road map to start your journey. Marian Pierre-Louis is a House Historian and Professional Genealogist who focuses on New England research. She specializes in probate, deeds, and New England town records and brick wall research. In recent years she has been turning her attention to educational outreach through the use of New Media – webinars, internet broadcasts and video. Marian was a Program Co-Chairperson for the 2015 New England Regional Genealogical Conference (NERGC) and is actively involved with the New England chapter of the Association of Professional Genealogists (NEAPG). On July 4th, immediately following the parade, on the grounds of BSU, the small committee of volunteer(s) of THE BRIDGEWATER ARTS & MUSIC FESTIVAL put on a festival which includes: art, live music with a focus on original music, dance, great food, children's events such as face painting, train rides, sand art and entertainment such as puppet shows and more! FOOD on the QUAD, also for sale at the festival includes fried dough, popcorn, snow cones, ice cream, pizza, pasty confections, soda, bottled water, fresh squeezed fruit juices. Annual favorites, FIRST PARISH UNITARIAN UNIVERSALIST CHURCH at 50 School Street (across the street) traditionally sells hand-squeezed fresh lemonade, food, and hosts a booksale during the Arts & Music Festival. In addition to the arts and music on display and being performed, a local author's table will also be available. For more information about the Bridgewater Arts & Music Festival and to see the full schedule of events, please click here.